Evilbobthebob, who in addition to developing our AI for Thrawn’s Revenge, is the developer of Phoenix Rising, another mod with a lot of unique features and the same AI components we’re talking about here (you can find PR on the Steam workshop here: https://steamcommunity.com/sharedfiles/filedetails/?id=1235783994 ) has continued with more of these optimizations for the galactic level of the AI within 2.3, and the longer term economic changes in the mod are also being developed with the AI in mind. In 2.2, the AI would typically want to build Hypervelocity guns/Ion Cannons on as many border planets as possible, which worked out well in most maps, but in some where their territory was more thinly spread or smaller (like the single-planet start maps), the AI could often end up building too many along their border and not leaving enough room for proper economic or production structures, so this has been adjusted appropriately and is something we’ll be keeping an eye on. Another issue is that with how mining facilities are structured, on those smaller maps the AI often has to spend more slots on economic structures at the cost of defense, so to reduce that burden we’ve shifted more of the economic power into space, bumping up the values of trade ports and reducing the per-planet cap on mining facilities to 2 from 3. 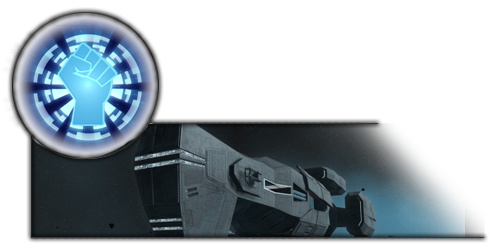 There’s other more in-depth changes coming to the economy and even galactic government mechanics in 2.4, so we’ll talk a bit more about that in a future news post. I would love for you or Evilbobthebob (or somebody) to provide tutorials or intros to EAW AI modding. I've been modding vanilla EAW for personal enjoyment for over a year now and I still have no idea how to get the AI to actually use certain heroes or activated galactic actions. The AI can't seem to figure out what to do with Mon Mothma or how to remove corruption without the planet changing hands. I'd also love to know more about how to affect the AI's fleet composition choices to see fewer ridiculous massive piles of Interdictors. Maybe this kind of thing wouldn't be a good fit for a video series since it's awfully technical, but I swear I would put up money for someone who knows what they're doing to give a rundown on the general ins and outs of modifying the EAW AI behaviors. I don't have unlimited funds, but could you consider what a ballpark estimate might be to make producing content for such a niche topic worth your while? Have you read the AI guide evilbobthebob posted on the Steam Workshop? I have. It's a fantastically in-depth resource and I can tell he knows what he's doing, but for a rank amateur such as myself it's a little light on examples. Like, I get the abstract concept of budgets, goals, etc. but I could really use some concrete examples. Something like "here is how you goose the AI into only building Acclamators" or "here is how you get the AI to remove corruption using a new unit that you add that ability to." Just a few basic object lessons in how to concretely manipulate the concepts laid out in the guide would be invaluable.